Refresh yourself during the season of renewal with a trip to Park City. Get 25%-40% off your Park City stay! Spring is in the air and the savings are in full bloom. 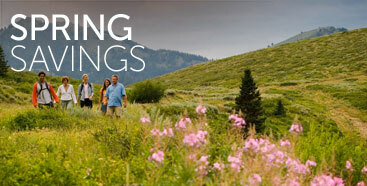 Now is the perfect time to experience the beauty and majesty of Park City’s spring bloom. Admire the leaves and flowers of this mountain paradise while enjoying 25%-40% off your lodging at some of Park City’s best hotels, condominiums, and vacation homes. Book directly with us to get an extra 5% savings you won’t find anywhere else—a deeper discount than Expedia, Booking.com, Orbitz, and others. This exclusive offer is limited, so make sure to book your stay soon. Blackout dates apply and are subject to change based on availability. Minimum night stay required. Not valid with any other offer. Valid for new reservations only. DEALS AS HOT AS THE SUMMER SUN! Cool down with a mountain getaway. Adventure awaits around every corner. The sun is out, and so is the fun! Things are heating up all over town. From alpine coasters and zip lines to five-star restaurants and masterful galleries, Park City is your destination for non-stop warm-weather excitement. 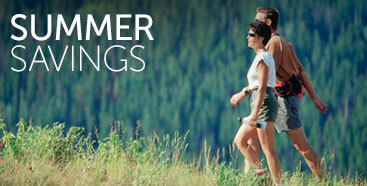 Book your Park City summer stay today and take 25%-40% off the perfect accommodation for your perfect adventure. Book directly with us to get an extra 5% savings you won’t find anywhere else—a deeper discount than Expedia, Booking.com, Orbitz, and others. This exclusive offer is limited, so make sure to book your stay while the sun still shines. As if you needed another reason to extend your vacation in beautiful San Diego- save 20% on your entire stay! All condos offer unobstructed ocean views. Experience the City Different for less! 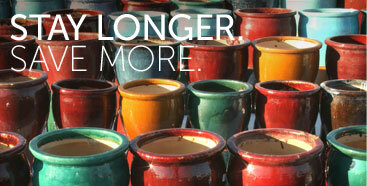 We know that you want to stay a little longer in beautiful Santa Fe. Why don’t you stick around another night or two with the money you’ll save on this lodging deal? Book your stay today and take 20% off your your lodging. You’ll have plenty left over to splurge on all the delights of downtown Santa Fe before returning to your room, just four blocks from the plaza!